A large portion of our project activity is done through partnerships with indigenous Bible colleges in largely un-evangelized areas. These are just a few of several who we routinely assist. Started in 2001 by missionaries Rodney and Cathy Fitzsimmons, graduates of the Bible institute have started dozens of churches. 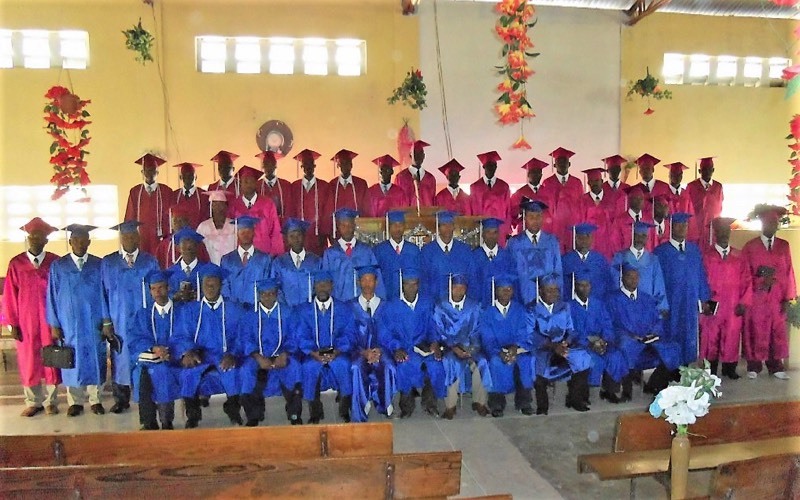 After the Fitzsimmons left Haiti in 2016 and joined The Carpenter's Project, enrollment remains steady with 300-400 students, and now several satellite teaching centers have started in sister churches throughout the central portion of the country. The Carpenter's Project remains actively involved by providing periodic teaching and administrative assistance, supporting graduates in the Timothy Project, conducting periodic evangelistic outreaches, and with their construction needs. EABM has a few dozen teaching centers in seven East African countries and offers students either a one year Bible certificate or a two year Bible degree. Each student has committed to begin an in-house Bible study in hopes of starting a formal church. In its short history, more than 800 home bible studies have been started in mostly Muslim communities. 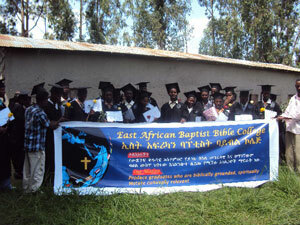 The Carpenter’s Project assists EABM with the purchase of bibles and study materials. TCP also provides temporary personal support and funds building projects for its graduates who are planting churches. FTS was started in 2007 in western Myanmar by a pastor with no resources, but with a vision to see his countrymen come to Christ. Today, 50 students are enrolled. The Carpenter’s Project assisted FTS with the construction of its classrooms and dormitories, and now we support several graduates who are planting churches in Buddhist neighborhoods. The Carpenter’s Project assists two other Bible colleges in Myanmar, sponsoring church planters and assisting with church construction. 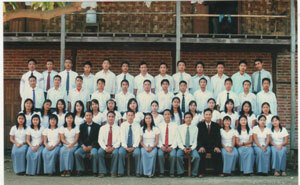 For more than 50 years BBBC&S has been preparing young men from several Asian nations for the ministry. 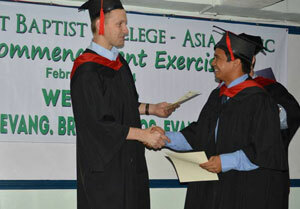 Over 4000 graduates have gone on to serve the Lord, preaching the gospel throughout India, Asia, and into Africa. The Carpenter’s Project assists BBBC&S alumni with church building projects. The Philippines has more than 3000 vibrant Baptist churches. The Lord is calling many Filipinos into the mission field, and there is a great need to prepare these young men and women as church planting missionaries within and beyond the Philippine Islands. In 2010, Pastor Joselito Avila started IBCAP, a four year Bible college that operates twenty five teaching locations through local churches on several Philippine islands. Today, IBCAP has nearly 500 students. The Carpenter’s Project provides assistance to the college as it strives to become financially independent. As graduates enter the ministry, and go to other parts of Asia, TCP seeks to help with their building needs.